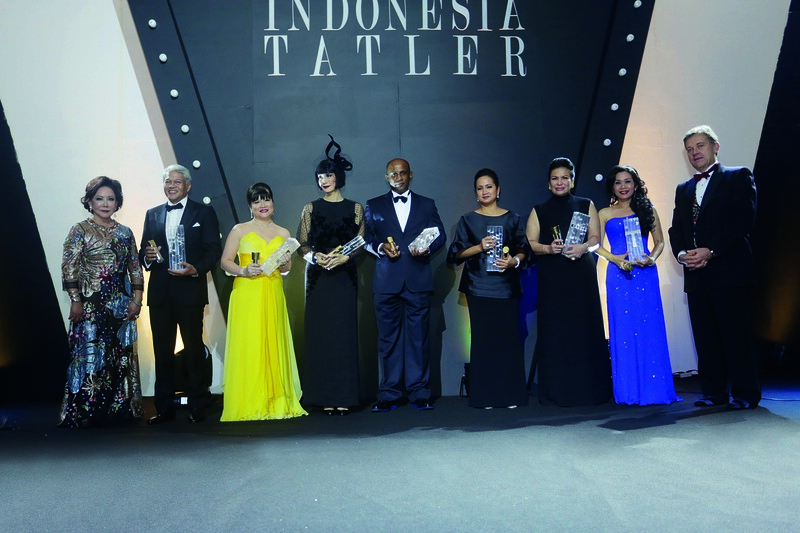 The Indonesia Tatler Ball took place on November 14, 2014, at the Shangri-La Hotel Jakarta to highlight the noble causes initiated by some of Jakarta’s leading businesses and individuals. Those that were part such causes included Harvest’s “Make A Change” programme, Yayasan Anugrah Gemilang, Ars86care, Blue Bird Peduli, Angin Investment Network, CSR CIMB, Let Elephants Be Elephants (LEBE) and Yayasan Pansophia. In addition to promoting the good of these companies, the ball also witnessed the crème de la crème of Indonesia’s high society sporting their finest cabaret gowns, headpieces, and accessories to stay in sync with the evening’s Cabaret Royale theme. Indonesia Tatler’s publisher, Mobiliari Group, prided itself on presenting the “Heroes of Philanthropy” awards to the seven foundations that have made a difference in wildlife conservation, mentorship programmes, CSR initiatives, and education. Having said this, the CEO and the founder of the Mobiliari Group, Mrs Millie Stephanie, and Indonesia Tatler’s Bureau Chief, Mrs Maria Lukito, were all smiles that day, greeting VIPs and guests at the foyer, including the seven individuals leading these philanthropic efforts. They were Blue Bird Peduli represented by Noni Purnomo; Pansophia Foundation by Magda Hutagalung; Harvest Group’s “Make A Change” programme by Lal Da Silva; Ars86care by Ria Sihotang; Let Elephants be Elephants by Nadya Hutagalung; Women Angel Investment Network Indonesia by Shinta Kamdani; and CIMB Niaga CSR Programs represented by Arwin Rasyid.